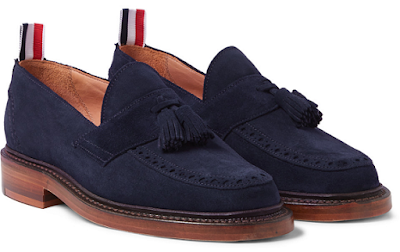 I'm a big fan of these navy suede loafers from Thom Browne. I would team them with ankle-grazing trousers and a classic button-down shirt. Mr Porter, £830.